Manhattan, NY Madison Realty Capital (MRC) closed a $167.5 million first mortgage loan collateralized by Madison Square Park Tower, a condominium development located at 45 East 22nd St. in the Madison Square Park neighborhood. In a complex multi-party transaction MRC delivered financing to Ian Bruce Eichner of The Continuum Co., which resolved a dispute with previous partners. The financing paves the way for the borrower to continue the successfully ongoing condominium sales process at Madison Square Park Tower. 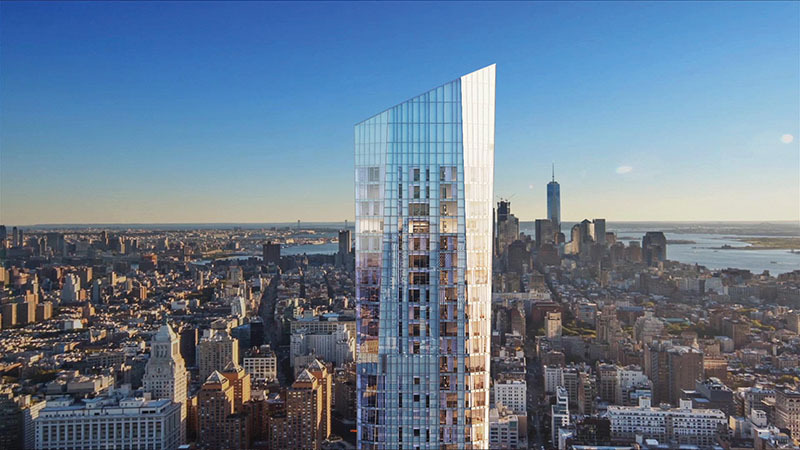 To date, Madison Square Park Tower has sold 58 units for a total of approximately $400 million. Madison Square Park Tower is among the most desirable addresses in the market, and almost impossible to replicate given the accumulation of air rights required to build it. Prominently located in the Flatiron District, Madison Square Park Tower offers the highest available views of Madison Square Park, as well as unobstructed views of the East River, the Hudson River, World Trade Center, and the Statue of Liberty. The project is led by a development team including Plaza Construction as general contractor, Kohn Peterson Fox Associates as design architect, HWA as executive architect, and the Eklund Gomes Team of Douglas Elliman as the residential sales brokerage team. Transforming the downtown skyline, the soaring 83-unit tower is a sculptural glass silhouette standing at 65 stories and rising 777 feet. The exterior wraps around interiors designed by the Martin Brudnizki Design Studio. Floor-to-ceiling windows enhance the views. The collection of amenities throughout five floors consists of a fitness center with boxing and private training suite, golf simulator, basketball court, children’s playroom, library, billiards, cards room, terrace with outdoor grill, and two gracious entertaining spaces including Fifty Four, a lounge and catering kitchen on the fifty-fourth floor. MRC is a New York-based real estate investment firm that pursues real estate equity and debt investments in the middle market. Founded in 2004, MRC has invested in $8 billion of transactions in the multifamily, retail, office, industrial and hotel sectors.